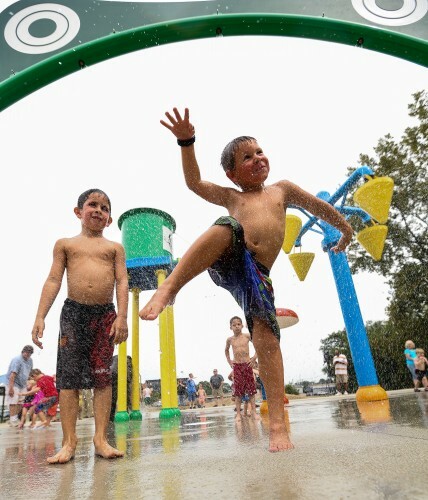 City Central Park is the newest Splash Park addition to the City of Greenwood and Carter's My Plumber was the local plumbing contractor to install a new Back-Flow Preventer System. Carter's My Plumber was able to make a plumbing repair in the nick of time, that facilitated the public restrooms being functional for the ceremony. It is great to see the City of Greenwood using local businesses to partner in their expansion process. Carter's My Plumber had the opportunity to install a new Back-Flow Preventer System at the City's new splash pad, which opened to the public on August 27th. Carter’s My Plumber is a local, family-owned, 3rd generation plumbing business located in Greenwood, Indiana, providing plumbing service to the Indianapolis, Greenwood, Whiteland, Franklin, Bargersville, Trafalgar, Mooresville, Wannamaker, Beech Grove and Southport areas. Carter’s My Plumber has a special menu of services designed to meet the needs of every homeowner to provide a complete solution to their home’s plumbing system. With over 30 years of plumbing experience, their trained plumbers meet the plumbing need of every residential and light commercial need. 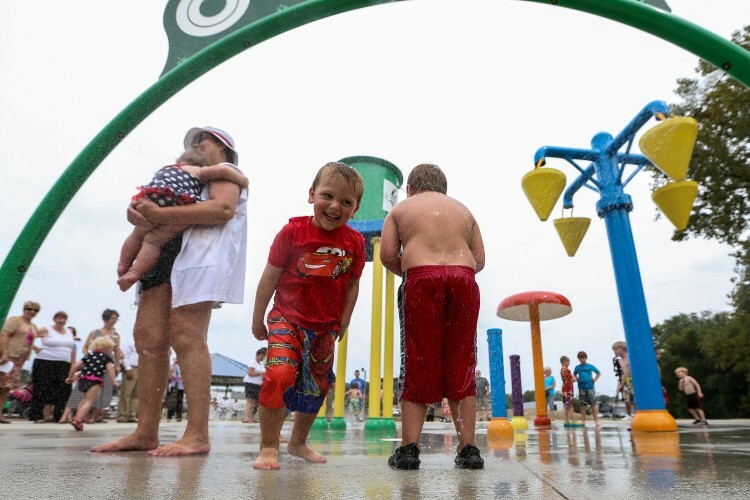 Kids ran through a maze of streaming water while grandparents watched at the new splash pad in Greenwood on Tuesday, August 27, 2013. The Daily Journal Newspaper reports that in the 90-degree heat, parents and grandparents even joined in, taking off their shoes and splashing through the jets coming out of the ground. There are mist sprays from two posts, and water drops from a dome while buckets drop water on kids at the splash pad. The splash pad is one of the features of the New City Center Park in Old Town Greenwood. The park, which opened Monday, August 26, 2013, also has walking trails, a wheelchair-accessible playground and two rain gardens. The Old Town Greenwood Park used to house the Greenwood pool, and now has a new name. Say goodbye to Pool Park, and start calling the five-acre park at Lincoln Street and Market Plaza by its new moniker, City Center Park. Carter’s My Plumber saves the Grand Opening Day! At 2pm on Tuesday, just before the 3pm Grand Opening of the new Splash Pad, John Shell, the Superintendent called Carter’s My Plumber in a panic because he was unable to turn the water on to the restroom facility. He needed a plumber fast. We dispatched our technician, Kelson Carter, who was able to make it over to the new Park just in time to make the plumbing repair and get the water turned on so the City was able to celebrate the opening with the public. The Splash Park is just the beginning for the City of Greenwood is adding an Aquatics Center which is coming to Freedom Park Memorial Day 2015, and construction will begin in Spring 2014. Carter’s My Plumber is located in the heart of Greenwood, and is very excited and grateful to have worked on the Splash Park. Jamie Carter says, “It is great to see the City of Greenwood using local businesses to partner in their expansion process.” Jamie is a 2nd generation plumber, and a Certified Plumbing Engineer. He and his wife, Lisa, own and operate Carter’s My Plumber. Their son, Kelson, is a 3rd Generation Licensed Plumbing Contractor, and is learning the ropes of operating a Plumbing Business.